Chanterell season is hear! Wet weather has bought them on early so deep in the woods picking.Chanterelles are rich in flavour,with a distinctive taste and aroma which is earthy with a hint of apricot. 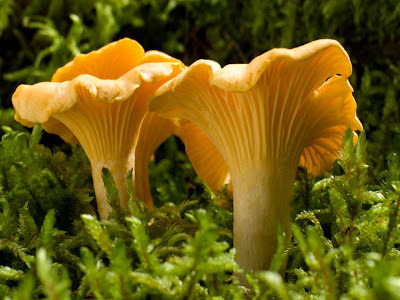 The summer chanterelle is perhaps te most sought after and many chefs and foodies will place it on same short list of gourmet fungi as truffles and morels it therefore tends command a high price picking your own is definitely a good idea.